Magnús Pállson, Flæðarmál (the beach), 1976. With permission of the artist. When I met Magnús Pálsson in Iceland last year, he told me that once, he made a cast of the sun, or so I think he told me, because thinking about it now, it seems too impossible to be true. Magnús Pálsson tends to do the unimaginable. Early on in his career he seems to have realized that the artist must stop trying to shape things. Basically, it wasn't the sculpture he was interested in, but its mold. 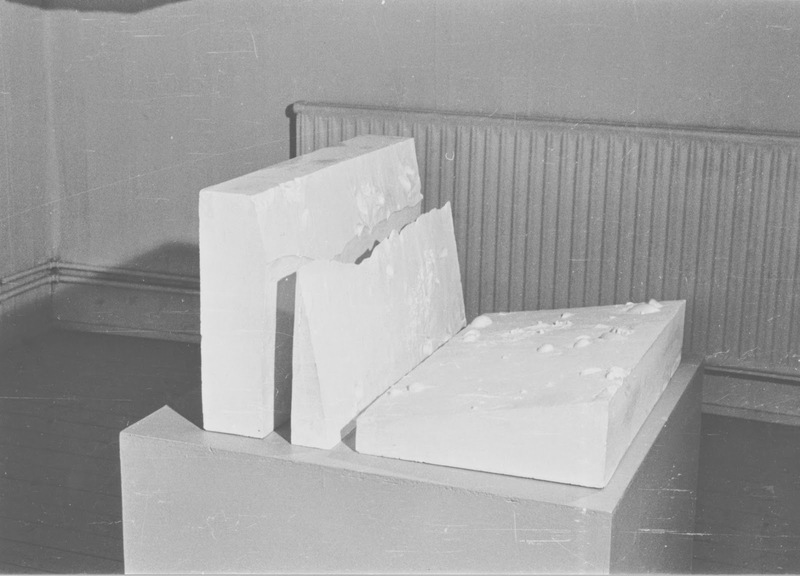 So he started to give form to spaces in between and around things by using plaster. He picked those sorts of spaces that you don’t have a (mental) image of. “If you cry, and you cry into the mold, that is the shape of your sorrow”, the artist said in an interview of the European Live Art Archive. His work Suspense was made by pouring plaster into the pages of an open crime novel. And at the Venice Biennale of 1980 he made time solid by making a cast of the space between the three tires of a helicopter and the tarmac, seconds before it touched down.